It was a Friday off from West End, regional and fringe opening nights, so where else would I spend it but at a not so private function in a theatre? 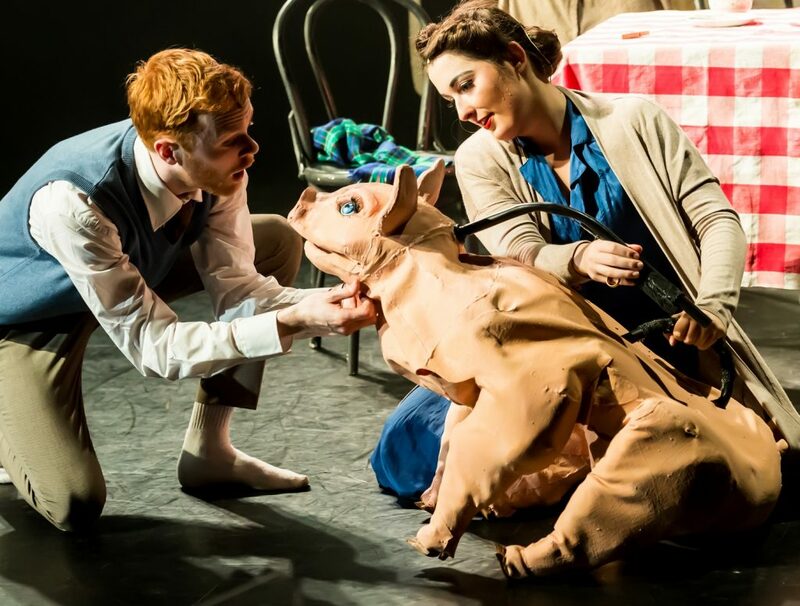 I’d been invited last night to see Betty Blue Eyes, the end of year production by Trinity Laban Conservatoire of Music & Dance’s Year Two students, which was playing at Stratford Circus. 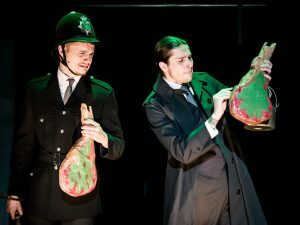 As a supporter of London’s fringe theatre, which is almost entirely staffed by impoverished drama students and young theatre school graduates, I get to see the country’s future stars at the very start of their careers. I am never less than amazed at the outstanding quality of well-trained, versatile actors and creatives we produce in the UK. But nothing prepared me for Betty Blue Eyes. Without telling porkies, this comedy musical, about a prized pig and the townsfolk at war over giving her the chop, is a triumph. Based on Alan Bennett’s 1984 award-winning film, A Private Function, this heartwarming and hilarious satire about small-town snobbery, greed and racism (and yes, some of the dialogue does make for uncomfortable listening), is a delight. 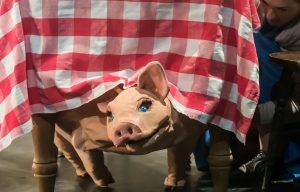 There are just two performances left – today’s matinee and evening show – before Betty, a wonderfully created porker who stole everyone’s hearts, is packed away for good. Betty Blue Eyes was created in 2011 by Ron Cowen and Daniel Lipman, who adapted Bennett’s screenplay, and it features toe-tapping music by George Stiles, with lyrics by Anthony Drewe. The morning after I’m still singing the title song to myself. Elva Makins uses her considerable experience as an actor, writer and director to create a rich, vibrant and hilariously funny production that is performed by a cast which is bold beyond its years. It’s hard to believe that they are drama students and not seasoned performers. Brendan Mageean gives an outstanding turn as timid chiropodist, Gilbert Chilvers, borrowing from Alan Bennett’s wardrobe his tweed suit, glasses and demeanour. It’s a nicely judged, nuanced performance, without being too Bennettesque. We all feel for him as he tries to cope with his social climbing wife, Joyce, and her insatiable and unbalanced mother. It’s post war austerity Britain and Princess Elizabeth is getting married. In one small town the local worthies want to put on an exclusive dinner party to celebrate and have got their hands on an illicit pig which is being fattened up by a farmer. Gilbert is struggling to establish his business – and please his demanding wife and mother-in-law – plying his trade door-to-door until he can find suitable business premises. He thinks that he’s found an empty shop but, when the town council undermines his efforts, he vows to retaliate by stealing their pig. While the devious town councillors are on the trail of the missing Betty, the evil meat inspector, Wormold, is putting butchers out of business and closing farms with the aid of his trusty tin of green paint. The story is utterly daft and totally endearing. 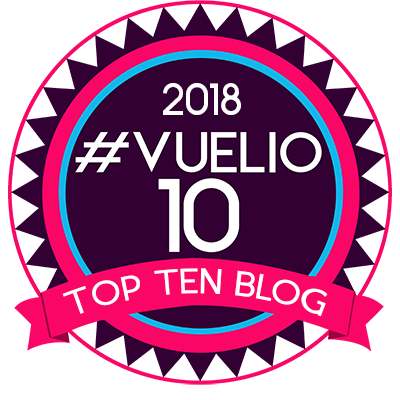 There are even a few inventive fantasy scenes, breakout moments that turn into big production numbers complete with feathers and tuxedos, all played with real flourish by these up-and-coming stars of tomorrow. Emily Harper excels as Joyce (sharing the role with Rebecca d’Lacey) with outstanding stage presence and a terrific singing voice. She makes a tremendous double act with the entertaining Jenny Coates as Mother Dear, the pair cutting a swathe through the ration queue with the tastiest dialogue. Elsewhere Calum Rickman’s panto baddie, Wormold, is a treat, popping up everywhere to thwart the plans of all and sundry with a brush of his green gloss. And Jake Lomas is a hoot as local bigwig Henry Allardyce who admits to falling in love with Betty and unable to sanction her slaughter. There’s a big ensemble with everyone on top form. The singing is outstanding, the acting faultless and the story a real showcase for these thrusting young stars of tomorrow. Next week the final year musical students offer their parting gift to the public, the Gershwin musical comedy, Crazy For You. I can’t wait. Betty Blue Eyes is on today at Stratford Circus, 2.30pm and 7.30pm. Crazy For You runs at the same East London venue next Friday and Saturday, matinees and evening performances. Review. 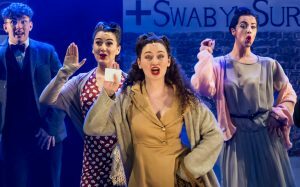 Betty Blue Eyes, at Stratford Circus, showcases the outstanding emerging talent of Year Two students at London’s Trinity Laban Conservatoire Of Music & Dance.